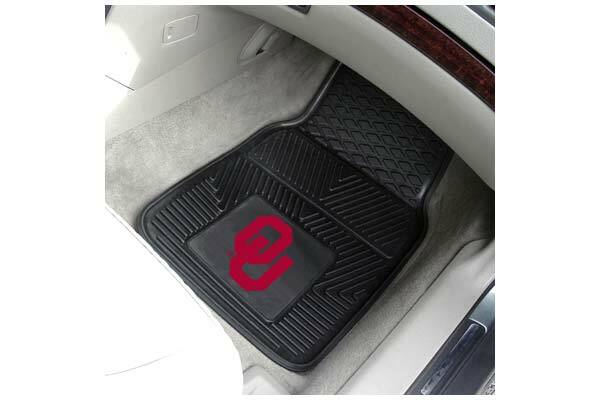 FANMATS 8765 - FANMATS NCAA Logo Vinyl Floor Mats - FREE SHIPPING! Very fast delivery, they fit perfect and they don't have a bad odor like most floor mats. The mats fit my El Camino really nice and they are of good quality. I thought the pricing was very good. I would recommend them to anyone. I have a Mark LT 4 door four wheel drive truck, some mats are small when you put them inside, not these. Happy to say the cover the whole area. These were the best price and quality mats I have found after looking through many sites on the web, as well as in stores. They are well made and sturdy. The colors are bright in the logo. These are an excellent buy! Heavy duty and durable OU mats. Shipping was a little slow, but worth the wait. OU stands out in a vibrant red. Very nice! Reference # 766-324-614 © 2000-2019 AutoAnything, Inc.